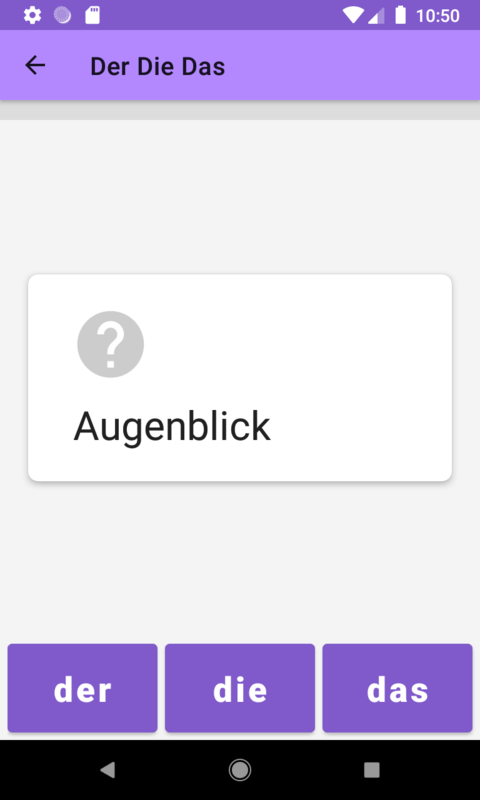 Looking up the article ('der', 'die' or 'das') of a German noun on your Android device has never been easier. Just type the first few letters of a word and see the article immediately. 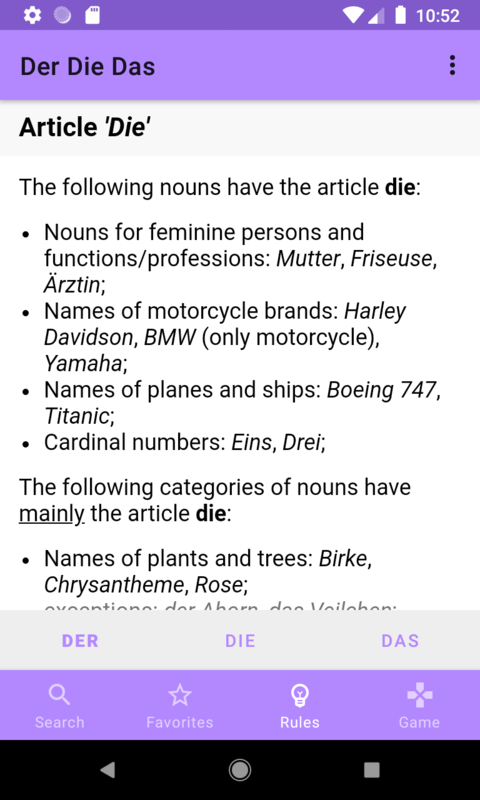 Search tip Because 'der', 'die' and 'das' are very frequent words in German, finding the Der Die Das app on the Play Store is sometimes difficult. 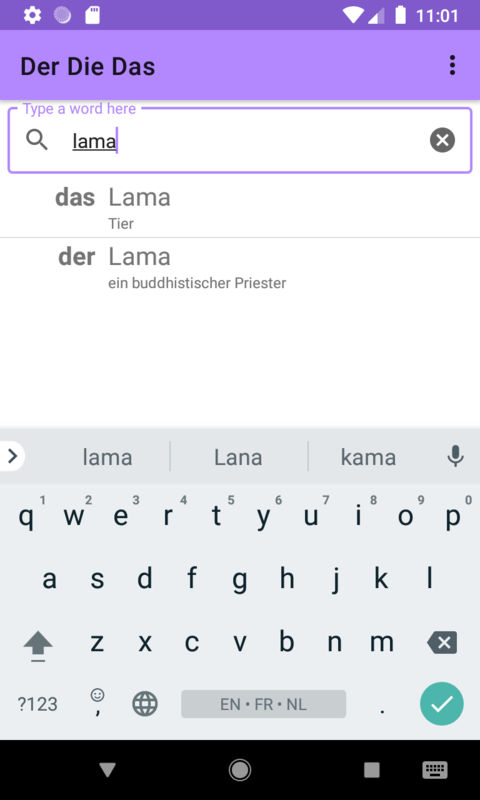 Use the search terms "der die das" (with quotes) or der die das passion4teq or simply passion4teq.